It is the month of Diwali, that time of the year when everybody gets engrossed in the festive preparations and the celebrations continue at least about two weeks long. New clothes, savoury delicacies, cultural amalgamation – the atmosphere around is exceptionally joyous. 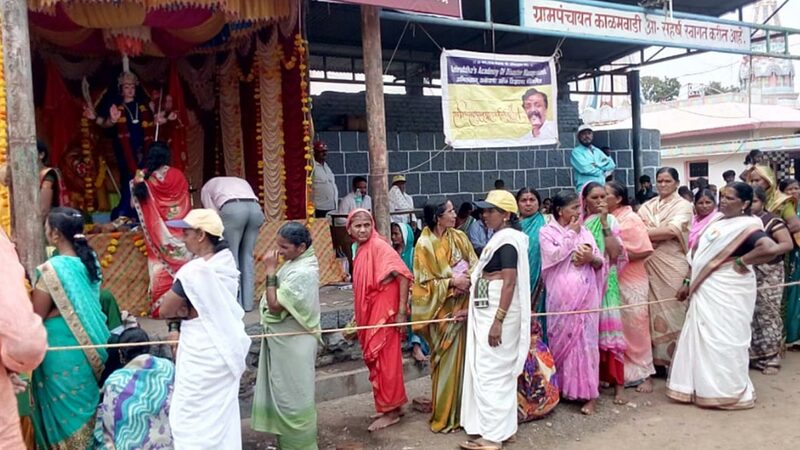 As an organisation inclined towards performing seva, Shree Aniruddha Aadesh Pathak, in association with the Aniruddha’s Academy of Disaster Management has been conducting devotional services in Mokhada Taluka of Palghar District since 2015. 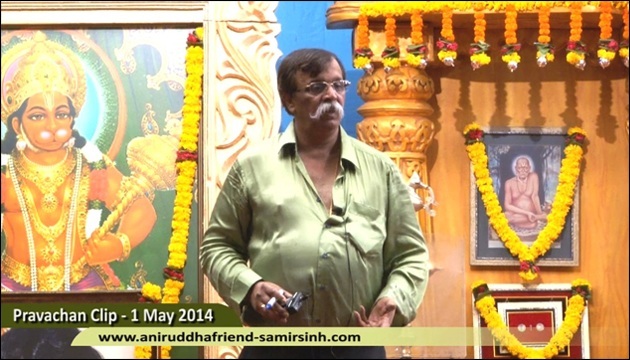 Sadguru Shree Aniruddha has always been concerned about the welfare of the underprivileged. Thus, this seva has been undertaken as per his guidance with a motive of accomplishing his vision. 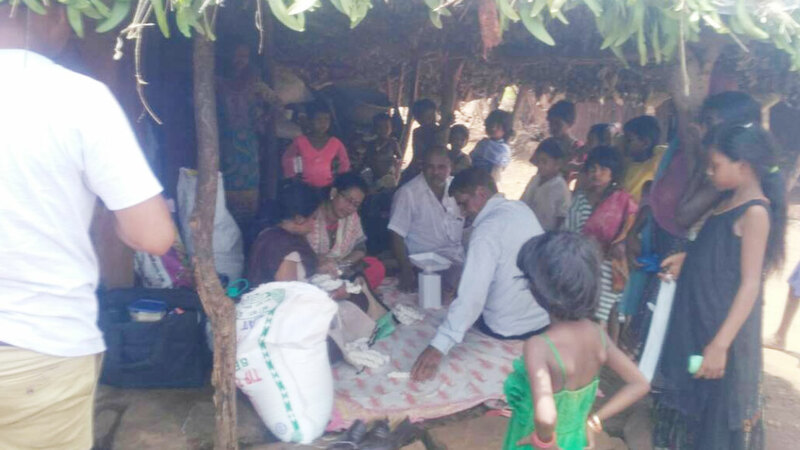 Our volunteers conducted surveys to know about the issues faced by the locals and realised that the problems are far more serious than expected. 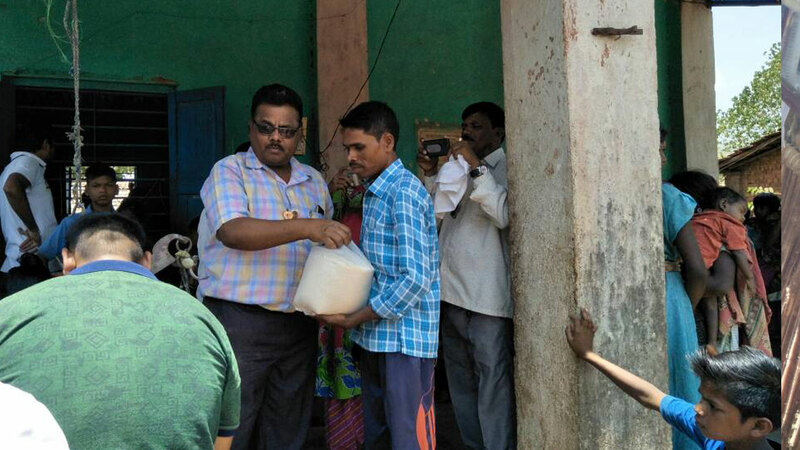 Hence, Shree Aniruddha Aadesh Pathak initiated various projects in the Mokhada through our volunteers to distribute clothes, utensils and Diwali delicacies amongst the villagers. 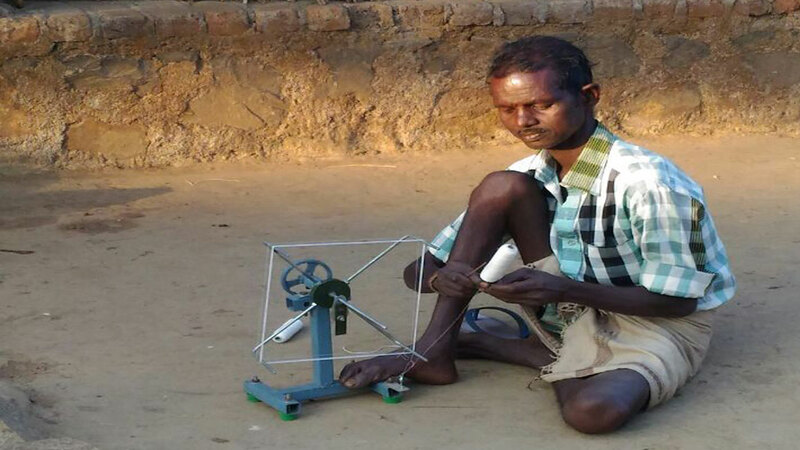 But over and above it, one of the significant projects that exists is the Charkha Annapoorna Project. 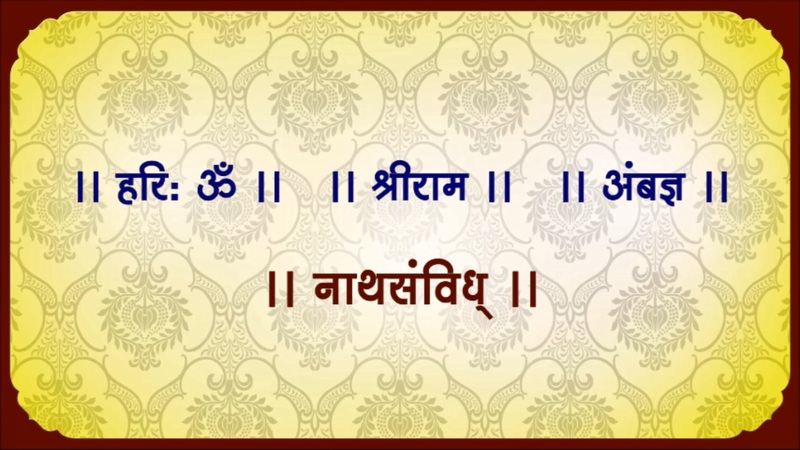 Sadguru Shree Aniruddha had introduced the Charkha Yojana as a part of his ‘13 Point Programme’. 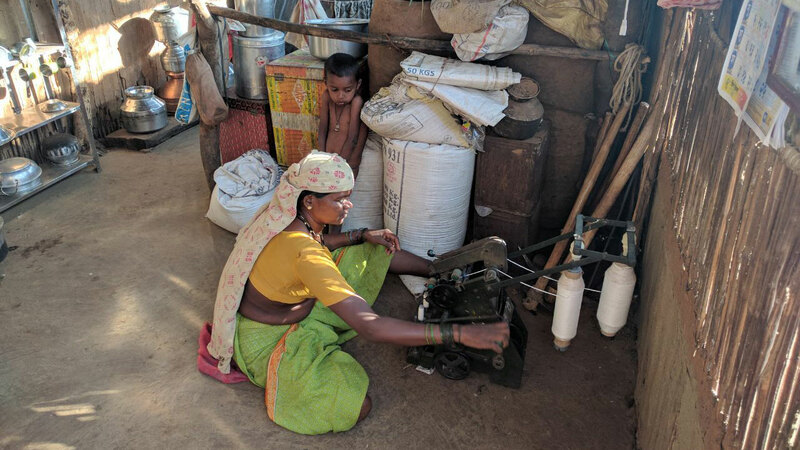 This Yojana allows the local villagers to spin the charkha against which they are provided with ration of rice and dal. 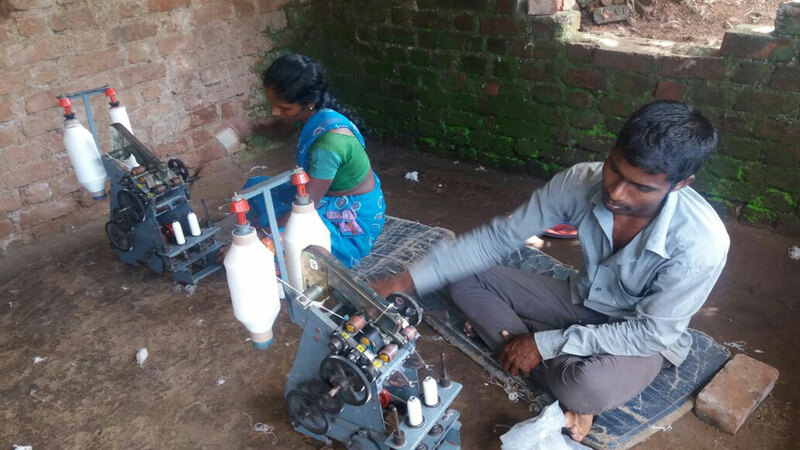 The yarn thus produced is further put to make clothes and uniforms for the underprivileged. About 45 to 50 thousand metres of cloth gets produced annually out of this seva. The project, which was initiated in the village of Gandhipool in the year 2015 has expanded in the last few years to more and more villages. In this year’s Seva, about 2500 villagers have been the beneficiaries across 22 villages of Mokhada. ● 35 Shraddhavans attended the course in Disaster Management conducted by Shreyas Colony, Goregaon East Upasana Kendra. 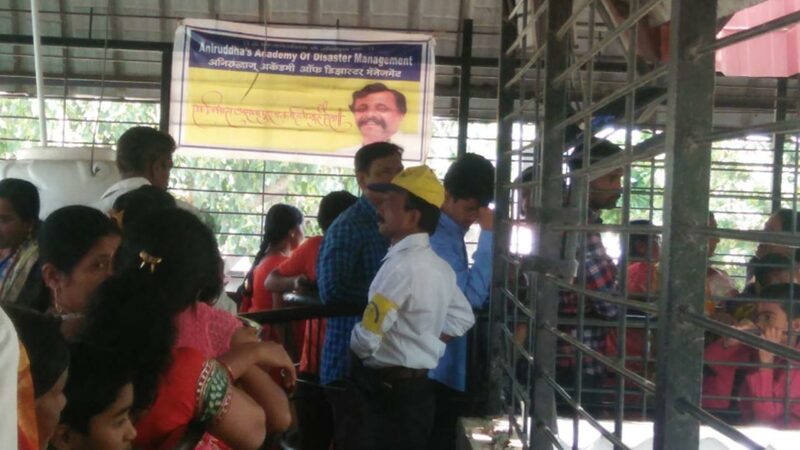 ● 22 Shraddhavans attended the course in Disaster Management conducted by Kongaon Upasana Kendra at Gajananrao Pandurang Patil College of Arts & Science, Kongaon. ● 17 Shraddhavans attended the course in Disaster Management conducted by the AADM at the Head Office, Mahim. 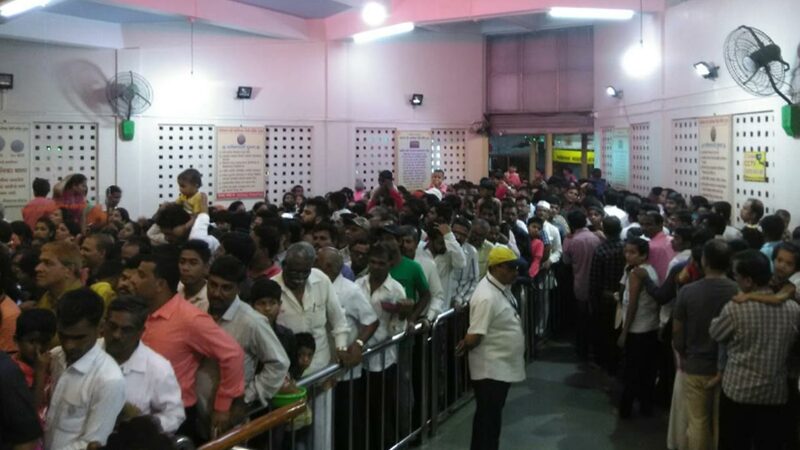 ● The Aniruddha’s Academy of Disaster Management had deployed 1958 Disaster Management Volunteers (DMVs) for control traffic and crowd management seva at Shree Mahalaxmi Mandir, Mumbai during the Navratri Utsav. ● 56 Disaster Management Volunteers (DMVs) from Malegaon Stand, CIDCO, Nasik Road, Gandhinagar and Kalika Mandir Upasana Kendras from Nashik participated in the crowd control seva at Shree Kalika Mata Mandir, Nashik during Navratri Utsav 2018. ● 209 Disaster Management Volunteers (DMVs) participated in the crowd and traffic control seva assisting the Chatushrungi Police Station at Chatushrungi Mandir, Pune during Navratri Utsav 2018. 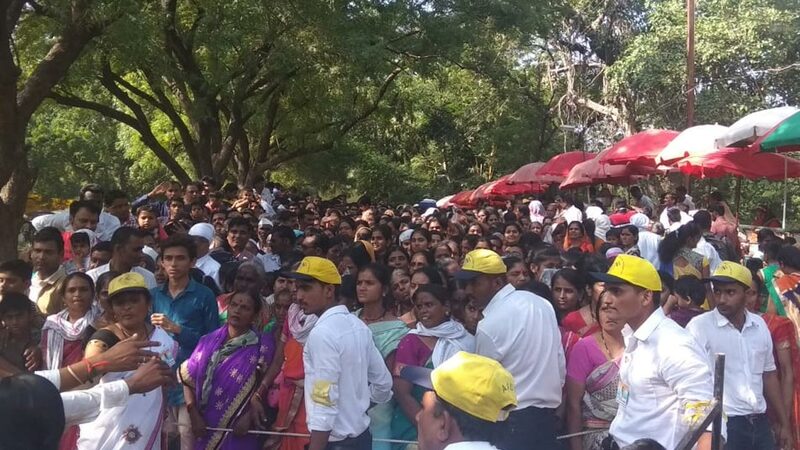 ● 246 Disaster Management Volunteers (DMVs) participated in the crowd control Seva at Shree Patna Devi Mandir at Chalisgaon, Jalgaon during the Navratri Utsav 2018. 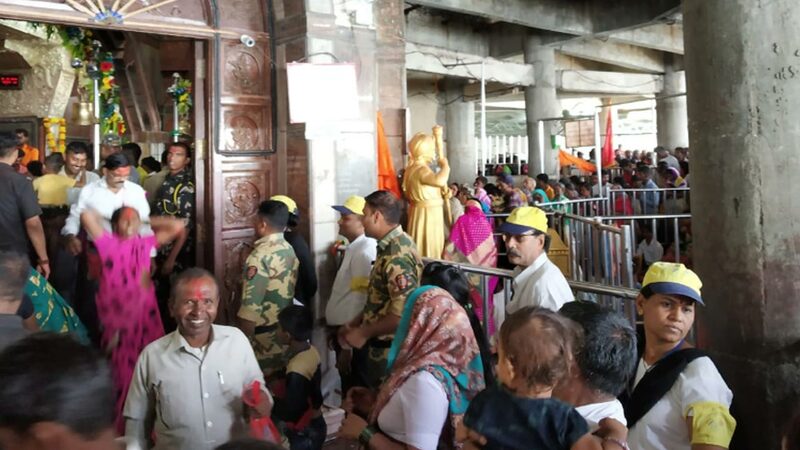 ● 109 DMVs participated in the crowd and traffic control seva at Shree Kshetra Jagadamba (Mohta) Devi Mandir at Pathardi, Ahmednagar. ● 46 DMVs participated in the crowd and traffic control seva at the Firangai Mata Mandir, Kurkumbh, during the Navratri Utsav. ● 60 DMVs for crowd control seva on 17th October 2018 at Shree Kallammadevi Yatra, Kalamwadi, Walva, Sangli.